Carmel is a Lecturer and Director of the Master Degree in Family Support Studies in the UNESCO Child and Family Research Centre, School of Political Science and Sociology, at NUI Galway. Carmel also lectures on the BA in Political Science & Sociology, the Masters in Social Work, the Pg Cert in Child Protection and Welfare (Trinity College, Dublin) and other programmes. Carmels recent publications and conference presentations are in the area of Family Support, child protection and welfare and supporting practitioners who work in these areas. Carmel has published over 25 peer reviewed research papers in international journals, including the British Journal of Social Work, Child & Family Social Work, Journal of Family Studies and Social Work Education as well as a range of reports and book chapters. Carmel is Principal Investigator on a number of research and evaluation projects under the Partnership, Prevention and Family Support programme for Tusla, the Child and Family Agency. Carmel has also recently completed an IRC funded feasibility study on conducting a longitudinal study on children in care / leaving care in the Irish context. In recent years, Carmel has been lead researcher on a number of projects for Tusla and has designed and delivered a number of national Family Support training initiatives for managers and practitioners. Carmel is leading on establishing a European Family Support Network for academics and researchers. Carmel holds a BA in Social Studies (DIT), an MA in Family Support Studies (NUI Galway), and a PhD (NUI, Galway). She also holds a PG Cert in Teaching and Learning in Higher Education from NUI Galway. Prior to joining NUI Galway Carmel worked for many years in statutory children and family services as both a practitioner and manager. Family Support as an approach to working with children and families, child protection and welfare, children and families service provision and its impact, practitioners in social care and social work, pre-service and in-service training and Adult education and learning. Carmel is also interested in service development and design in services for children, young people and parents. 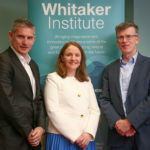 Project Summary The UNESCO Child and Family Research Centre has also recently been awarded 50,000 in funding to carry out a research study to consider the feasibility of conducting a longitudinal study on children in care or children leaving care within the Irish context. The funding bid was led by Dr Carmel Devaney and was awarded following a response to an open call from the Irish Research Council. As part of the IRC Research for Policy and Society the study is implementing the DCYAs Ryan Report Recommendation regarding a longitudinal study.This project is funded by the 'Irish Research Council, Tulsa, the Child and Family Agency and the Department of Children & Youth Affairs. The research will focus on the methodology, technical considerations and value for money elements of conducting such a study. Learning from similar studies with this cohort and with the general population in other jurisdictions will be included. The policy and practice context in which such studies are located will also be considered. A post-doctoral researcher will be employed from April 2017 for 12 months to undertake this research. (2011) Family Support as an Approach to Working with Children and Families. An Explorative Study of Past and Present Perspectives among Pioneers and Practitioners. (2019) The Feasibility Of Conducting A Longitudinal Study On Children In Care Or Children Leaving Care Within The Irish Context. (2019) Print Media Coverage of Ireland's Child and Family Agency. (2013) Scoping Study on a Longitudinal Study of Children who Leave Care. (2015) Models of Continuing Professional Development for Social Workers. (2018) Tuslas Parenting Support Champions Project: Process, Implementation and Outcome. (2018) Second Report of the Parenting Support Champions Regional Learning Group. (2018) Report of Parental Participation Seed-Funded Projects. (2018) Parenting Support and Parental Participation: Qualitative Interview Findings. (2018) Parental Participation: Overall Survey Findings. (2018) The Child and Family Support Networks Research Study. (2018) A Retrospective Study of the Meitheal Model. (2018) Meitheal and Child and Family Support Networks Process and Outcomes Study. (2018) Parenting Support and Parental Participation Work Package Final Report: Tuslas Programme for Prevention, Partnership and Family Support. (2018) Meitheal and Child and Family Support Networks Final Report: Tuslas Programme for Prevention, Partnership and Family Support. (2017) Parenting Support Champions Questionnaire Report. (2017) Parental Participation Survey Report. (2017) Interim Report on the Meitheal Process and Outcomes Study. (2017) Mapping Parenting Support in the Irish Context. (2017) Outcomes for Permanence and Stability for Children in Long-term Care: Practice Guidance. (2017) Report of the Parenting Support Champions Regional Learning Group. (2016) Scoping Review of International and Irish Literature on Outcomes for Permanence and Stability for Children in Long-term Care. (2016) Early Implementation of Meitheal and the Child and Family Support Networks: Lessons from the field. (2016) Working with Families: A Review of the Literature on Parental Participation. (2016) Practitioner Guide to Literature Review on Permanence and Stability for Children in Care. (2016) Literature Review Permanence and Stability for Children in Care. (2014) A National Review of Children First and Keeping Safe Training in HSE Children and Families Services. (2013) Longitudinal study of children who leave care. (2013) An Evaluation of the Implementation of the Induction of Social Workers: A Policy and Guidelines for Children and Families Social Services. (2012) Family and Community Services Resource Programme: Position Paper. (2011) Family Support Networks: Discussion paper. (2010) Youth Cafés in Ireland: A Best Practice Guide. OMCYA: Dublin, The Stationary Office. (2009) Cottage Home Child and Family Services. Service Development. (2008) The Development of a Report on the Evaluability of Young ballymun. Childrens Research Centre, Trinity College: Dublin. (2010) A parental view on inclusive third level education. (2011) Wizard of Words Process Study Report (Year Two). (2010) Wizard of Words Process Study Report (Year One). (2008) Research Report on Domestic Violence and Family Conflict in County Mayo. UNICEF in Bulgaria are aiming to raise awareness of the national policy makers and experts on the role of parenting for the wellbeing of children. Carmel has worked with UNICEF in an advisory capacity in relation to this. Family Support, Child Welfare, responding to needs of children, young people and parents, parenting support, social issues, practice issues in children and family services, using reflective practice in service delivery.